So here is the scenario. It’s Tuesday night. I decide to write my WIAW post. Uh. I’ve only taken one food picture all week. Oh. And…my eyes are dilated. So I can’t even really see what I’m typing right now. This is going to be stellar quality right here. Tuesday Morning I made this smoothie: It’s been a while since I had a green smoothie. They’re delicious and wonderful and all things like that, but it is Winter. And I am cold. All The Time. But…I woke up from post-birthday-celebrations (which was just dinner. :)) and I wanted a green smoothie. Maybe I’m older and wiser now. But…I of course – had no green smoothie making materials in the house. Only frozen spinach. No fruit – other than dates. We’d think that this would cause a tragedy. But instead…a delicious smoothie was born. The salted caramel green smoothie. It had: soy milk + water because it wasn’t blending well, frozen spinach, peanut butter, dates, a pinch of salt and cinnamon and a splash of vanilla. Oh man. It was fantastic. And it kept me sooo full right up until lunch time! 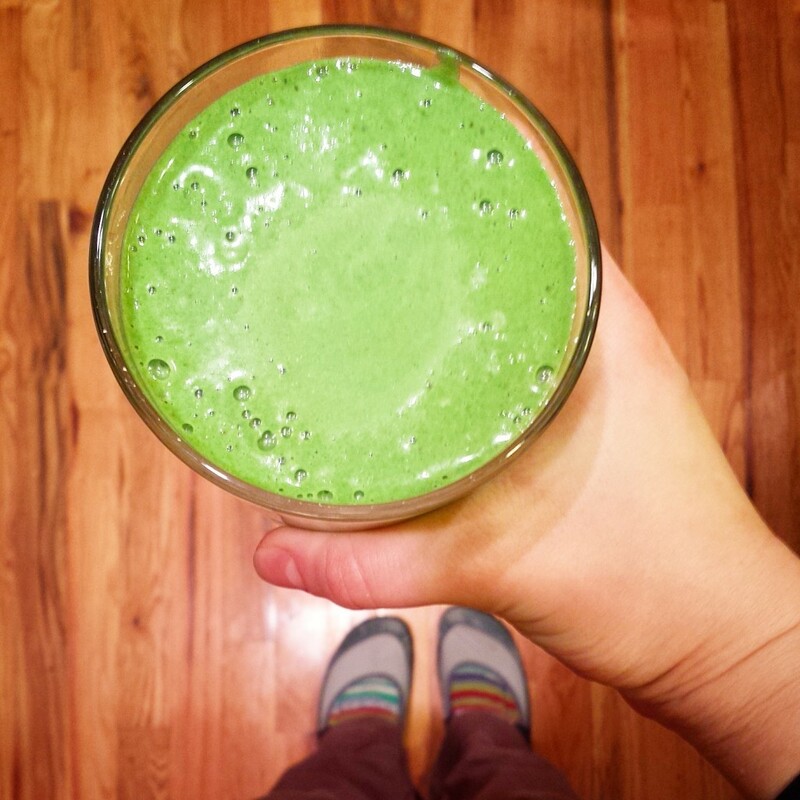 Green smoothies…why do I always desert you?! Lots of life changes coming. More on that tomorrow.